Therapeutic - DEVONIAN HEALTH GROUP INC.
ThykamineTM is an active lead drug candidate with excellent safety and efficacy profiles confirmed in several pre-clinical and cinical studies targeting inflammation. In Phase 2a, the Corporation conducted a clinical trial: a 2-week, exploratory randomized, double-blind, parallel-group, dose-ranging, placebo-controlled safety, tolerability, biomarker and efficacy clinical study of ThykamineTM rectal enema in patients with active mild-to-moderate distal ulcerative colitis. The primary objective of the study was met. Administration of 250 mg, 500 mg and 1000 mg doses of ThykamineTM rectal enema once daily was safe and well tolerated in subjects with active mild-to-moderate distal ulcerative colitis. There was a statistically significant (p<0.05) reduction in the mean change from baseline in the rectal bleeding sub-score of the modified Mayo score, a cardinal symptom/sign of ulcerative colitis, for the ThykamineTM – 250 mg dose compared to placebo at Endpoint/Day 14. Development Stage: Devonian has initiated a Phase 2 clinical study in Q2-2017 which should be completed in Q2‑2018. This will be a double-blind, placebo-controlled study of topical ThykamineTM in patients with mild-to-moderate atopic dermatitis. Development Stage: Devonian has plans for a larger Phase 2b clinical trial and of longer treatment duration: a 12‑week, randomized, double‑blind, parallel-group, dose-ranging, placebo-controlled efficacy, safety and tolerability study of ThykamineTM rectal enema to treat patients with active mild-to-moderate distal ulcerative colitis. Devonian intends to request a meeting with the FDA by the end of 2017. The meeting will allow Devonian to submit to the FDA the results of the in vitro and in vivo pharmacology studies, the safety pharmacology and toxicology studies, and the results of the Phase 1 and 2a clinical studies along with the clinical trial protocol of the planned Phase 2b study. Management believes that the safety and efficacy profile of ThykamineTM demonstrated in all the former studies should provide justification for the FDA to allow Devonian to proceed with the Phase 2b clinical trial without any safety issues. Radiodermatitis (radiation dermatitis) is a signiﬁcant side effect of ionizing radiation delivered to the skin during cancer treatment as well as a result of nuclear attacks and disasters. Radiodermatitis have been classified into three levels; grade 1 (mild erythema), grade 2 (dry desquamation), and grade 3 (severe moist desquamation). Prevalence: International data indicate that 50% of patients diagnosed with cancer will receive some form of radiation therapy. Radiodermatitis concerns around 95% of all cancer patients receiving radiation therapy. It is particularly problematic in cancers of the breast, perineum, and head and neck region. These radiation skin reactions result in a myriad of complications, including delays or interruption in treatment, diminished aesthetic appeal, and reduced quality of life. Development Stage: Devonian is currently developing a specific formulation which would include Thykamine™ as the main active ingredient. As the formulation would offer protection against radiation effects, the company expect to file under the medical device regulation in 2019. Acne, as a family of skin disorders is one of the most prevalent dermatologic diseases in the world. It is a cutaneous pleomorphic disorder of the pilosebaceous unit involving abnormalities in sebum production and is characterized by both inflammatory and noninflammatory lesions. It affects the areas of the body that have high concentrations of sebaceous gland such as the face, back and trunk. Prevalence: Acne is one of the most common skin conditions which affect about 85 % of adolescents and over 10% of adults population at some point of time in life. Development Stage: Devonian is currently developing a specific formulation which would include Thykamine™ as the main active ingredient. The formulation should be completed by Q4-2018. A phase 2 clinical trial is expected to be initiated in 2019. The first derma-cosmeceutical products that Devonian has developed are women’s anti-aging product line consisting of day, night, and eye creams. R-Spinasome™, Devonian’s proprietary natural active ingredient is included is these market-ready, patent-pending, products. In a 28-day comparison study, the product demonstrated superior anti-aging treatment effects compared with two highly regarded anti-aging prestige brands. In a consumer panel study, more that 75% of women reported that they would switch to Devonian’s product. 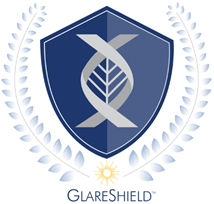 A randomized, double-blind, placebo-controlled study evaluating its anti-redness properties will be conducted in Q1, 2019. Results will be released later during 2019. The PurgenesisTM treatment now carries the seal of recognition of the Skin Health Program, awarded after a thorough review of the treatment formulation by the Canadian Association of Dermatology’s Expert Advisory Council on Skin Health. Purgenesis™ anti-aging treatment was awarded the 2018 Best Anti-Aging Skin Treatment Technology from United Kingdom-based LUX Life Magazine (LUX) confirming the product’ level of excellence. This product is protected by patents in Canada, Europe, Japan and United-States. The human skin is the largest organ of the human body. It provides biological active barrier against environmental influences, and its proper functioning is essential to keeping the body healthy. Sunlight, which reaches and penetrates our skin daily, influences the physiology of the human skin in beneficial as well as harmful ways. It is subdivided into different spectral regions: ultraviolet ( UVA/UVB) infrared (Infrared A, B and C) as well as visible light (which include blue emission). The harmful effects of UVA and UVB has been extensively demonstrated. Over the recent years, an increasing number of scientific publications have highlighted the harmful effects of Infrared A (IRA) and blue light on the skin. The current SPF sunscreens do not protect against IRA or blue light. Devonian’ objective is to bring to consumers a novel suncare product line that would provide protection against UVA/UVB, IRA and blue light for outdoor use. As blue light emission is also generated by consumer electronics using the LED technology, such as smartphone, computer, TVs and LED light, the company is also developing an indoor cream to protect the skin against its harmful effects during the daily use of theses electronic devices. An indoor Blue light protection cream as well as a SPF/IRA/Blue light protection lotion for outdoor use. Both should be market ready in 2019. The pipeline also include an after sun lotion which is ready to market (to be marketed with sun protection product). Devonian is at an early stage of development of a product for stretch marks. The Purgenesis™ brand is exclusively marketed, in Canada, by Altius Healthcare www.altiushealthcare.ca) through Canadian certified dermatologists.